Practice Practice Practice: Hi, I’m Jennefer. Nice to meet you! Hi, I’m Jennefer. Nice to meet you! Just to get something straight right off the bat, I love running! 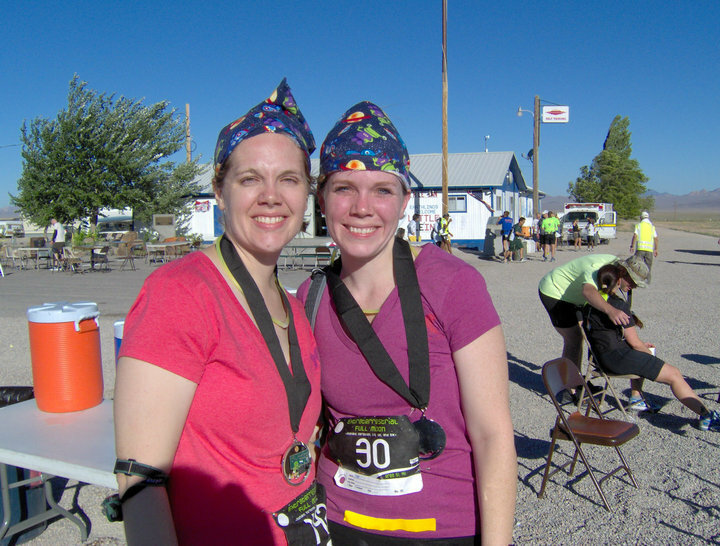 I started running a little more than a year ago when my sister and I decided to do something crazy together and run a marathon. We did it and the experience changed me in ways I couldn’t imagine. I love running! 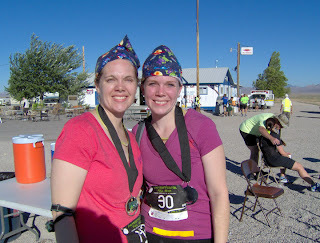 Me and my sister Amanda after completing our first marathon together! Whew! I have enjoyed many of the running blogs I have found out in the blogsphere and reading about other opinions, gear reviews, race reports and experiences has been very helpful and interesting. So I guess I decided I wanted to add my voice to the mix as well. I hope to bring a little something special to the topic. The thing is, I love a whole lot of other stuff too! I have a little bit of hobby A.D.D. I am a naturally curious and inquisitive person, I like to learn new things and I like to know stuff. So I plan to share about many topics. Favorite yoga poses, book reviews, favorite recipes, thoughts on ethical living and eating (not preachy, just some ideas, musings really, I promise no soap boxes or lectures), and basically whatever else grabs my attention, which could be pretty much anything. Overall I see this blog being about living an active, happy and mindful life and I look forward to seeing how this evolves! Thank you so much for stopping by and reading! I look forward to interacting with you and hearing what you have to say as well! Please feel free to contact me if you like at runningandotherthings (at)gmail(dot)com. Lets be friends! Ok- I've told you a little something about me, now I want to know a little something about you! Please introduce yourself in the comments to your fellow readers and myself! Who are you and what are your hobbies? We would love to hear from you! I love this! I'm so excited to follow along with your blog. Great blog, Jennefer! Can't wait to read more!